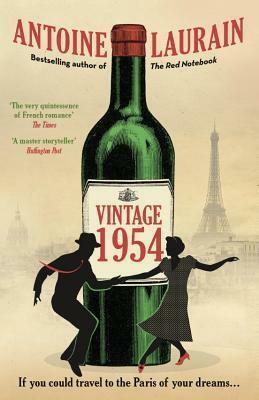 I’ve been looking forward to picking this novel up, because it’s set in and around the streets and coastal inlets of Marseilles (our local city) and even ventures into Aix-en-Provence and Vauvenargues (the scene of a murder in the novel – though known locally because Picasso lived in the château there). It was originally published in French in 1995, when Izzo was 50 years old, a mere five years before his premature passing. Fabio Montale used to hang out with his friends Manu and Ugo, when they were growing up in the same neighbourbood of Marseilles. They were eyeing up his cousin Angèle as he escorted her home after a family visit. That first time he encountered them, they insulted him, he lashed out and got into a scuffle. He didn’t see them again until September, when they found themselves in the same class. They became firm friends. Fast forward, they’re separated during compulsory military training, on their return they’ve become men. Disillusioned and cynical. Slightly bitter too. We had nothing. We hadn’t even learned a trade. No future. Nothing but life. But a life without a future is better than no life at all. Discovering that even hard work doesn’t promise fast, easy money they think about opening a bookstore, but need funding, it’s the beginning of the slippery slope into a criminal life. They soon forget about the shop, having too much fun chasing danger and celebrating its rewards. Until it gets serious and someone gets hurt. Looking at the city from my balcony. I could hear my father snoring. He’d worked hard all his life, and suffered a lot, but I didn’t think I’d ever be as happy as he was. Lying on the bed, completely drunk, I swore on my mother, whose picture I had in front of me, that if the guy pulled through I’d become a priest, and if he didn’t pull through I’d become a cop. They haven’t seen each other for years and now Manu has been killed. Fabio has become a cop but hasn’t been put on this case, regardless, he makes it his personal responsibility to find out what happened. They promised to stay true to one another and swore that nothing would break their bond. But people and circumstances change. Ugo and Manu have been drawn into the criminal underworld of Europe’s toughest, most violent and vibrant city. When Manu is murdered and Ugo returns from abroad to avenge his friend’s death, only to be killed himself, it is left to the third in this trio, Detective Fabio Montale, to ensure justice is done. As the story unfolds, he identifies who is involved in local criminal factions, the mafia, and attempts to unravel how his friend had come between them. We meet an immigrant family, a father and his three children, whose mother died giving birth to the youngest. Having encountered them over a skirmish in a shop in one of the projects, Fabio befriends them. When a member of the family disappears, the two stories begin to overlap and Fabio has another more immediate crime to solve. Each chapter takes us to another corner of Marseilles, each car ride and return home to the fishing village of Les Goudes (my pictures below) introduces us to a segment of music and the women in his life; while there may not be a peaceful solution to the pervasive bitterness and revenge laced throughout Izzo’s fragmented world, one thing offers him temporary respite and hope is music. It represents the cultural richness and diversity of this city, populated by a mix of African, Mediterranean and Middle Eastern immigrants. All this creates not just the plot of a crime story, but a picture of a man immersed and entangled in his complex city, attached to his familial village, his boat, the sea his refuge and his reliable motherly neighbour Honorine, who makes up for some of the lack in his life. Although I was a good listener, I was never any good at confiding in anyone. At the last moment, I always clammed up. I was always ready to lie, rather than talk about what was wrong. It wasn’t that I didn’t have the courage. I just didn’t trust anyone. Not enough, anyhow, to put my life and my feelings in another’s hands. And I knocked myself out trying to solve everything on my own. The vanity of a loser. I had to face it, I’d lost everything in my life. It’s a journey through the senses, that penetrates the heart and soul of an unforgiving city whose inhabitants love it fiercely, in the pursuit of keeping a promise made in youth. His use of the noir genre is not limited simply to description but penetrates deep into the heart of the incongruities, leaving room for sociological reflection and for a return to his generation’s collective memory, and above all, gives sense to the present day. N.B. Thank you to the publisher Europa Editions for providing a review copy. Antoine Laurain is one of my go to author’s when I’m in the mood for something short and light and of course, being a French author, there’s going to be the inevitable addition of the little French quirks, the things that one recognises from living here in France for more than 10 years. Smoking Kills is a little more macabre than his other works I’ve read, The Red Notebook and The President’s Hat, the latter are charming, uplifting novellas and Smoking Kills has been described as ‘black comedy’, a phrase that fits it well. At the beginning of his career, the smoker is generally intent on killing no one but himself. But forces beyond my control drove me to become a killer of others. The ban of smoking in public places took place in France later in than many other countries and I’ve seen how vigilantly it is respected in some countries, how in England they adapted and accepted the inconveniences it placed on them, how the pubs turned gastro and Friday night drinkers were pushed off the footpaths out onto the tarmac. (Note the word ‘gastro‘ is a false friend, in French it means gastroenteritis, the word gastropub entered the English dictionary in 2012, probably the nearest equivalent to a gastropub in France is a bistro). In NZ it seemed like everyone gave up, in the UK it appeared they adapted, but here in France, they kind of reinvented or stretched the rules, in a restaurant in Paris, if your table at a cafe is beyond a certain imaginary line, you can still smoke, it’s all about how you define a space, indoors versus outdoors, public versus private; I don’t profess to know what the definitions are and I’m not a smoker, but it amuses me to see how different cultures interpret the laws, how people find ways to protect their small pleasures and resist certain laws that infringe upon their personal liberties, despite the arguments that exist to the contrary. Antoine Lauraine has created a character who is about to be affected by the change in the law, not because of the law itself, as his workplace has just refused to go along with it and he is senior enough not to have to kowtow to anyone above him, the owner of the company is a resolute cigar smoker, immune to much that affects those on the ground floor. However when a new chief is brought in, he starts to enforce the rules so Fabrice Valantine decides to make a hypnotherapy appointment to see if he can quit without the agony he’s experienced in previous attempts. Although he doesn’t believe it will work, it does but it leaves him a little disappointed in the deprivation of the familiar ‘urge’ to want to have a cigarette and nonplussed by the reaction of the cigar smoking gentleman who immediately takes him for one of those irritating non-smokers. After a series of stressful events overwhelm him, he takes up the habit once more, relieved to find that the ‘urge’ has returned, but shocked to discover that the subsequent ‘pleasure’ that should follow it when he does light up has gone. Angered and determined to have that aspect returned to him, he makes a follow-up appointment with the hypnotist to reverse the procedure, which will lead him down a rocky road towards involvement in a worse crime, in pursuit of that elusive ‘pleasure’ he is determined to retrieve. It was just the mini escape I thought it would be, the perfect lakeside read, with its occasional humorous anecdotes, its portrayal of the addict whose therapy makes life worse for him, not better, and being a man of privilege, we’re not inclined to feel sorry for him. that more will be written and translated. Note: The book was a review copy kindly provided by Gallic Books. Although I’ve read reviews and seen this book appear often over the last year, and knew I really wanted to read it, I couldn’t remember what is was about or why. It was down to a consistent feeling and feedback from readers whose views I respect, their brief tweets of encouragement igniting the flame of motivation that made me choose this as the first #WIT (Women in Translation) novel I’d read in August 2018. Yes, it is WIT Month again, now in its 5th year! So how to describe this remarkable novel? There’s a clue in the two versions of the English translations, (the American and British English versions have different titles and different translators). The novel was originally written in French and ironically one of the characters, a 50-year-old woman awaiting a heart transplant in a Parisian hospital, is also a translator. The American translation (by Sam Taylor) is entitled The Heart and it is indeed a story that follows the heart of a 19-year-old youth from the moment his alarm clock rings at 5.50 a.m one morning, an hour he rarely awakes, as he sets off with two friends on a surfing mission during a rare mid-winter half-tide; over the next 24 hours until his body is meticulously prepared to be laid to rest. He lets out a whoop as he takes his first ride, and for a period of time he touches a state of grace – its horizontal vertigo, he’s neck and neck with the world, and as though issued from it, taken into its flow – space swallows him, crushes him as it liberates him, saturates his muscular fibres, his bronchial tubes, oxygenates his blood; the wave unfolds on a blurred timeline, slow or fast it’s impossible to tell, it suspends each second one by one until it finishes pulverised, an organic, senseless mess and it’s incredible but after having been battered by pebbles in the froth at the end, Simon Limbeau turns to go straight back out again. The British translation (by Jessica Moore) is entitled Mend the Living, broader in scope, it references the many who lie with compromised organs, who dwell in a twilight zone of half-lived lives, waiting to see if their match will come up, knowing when it does, it will likely be a sudden opportunity, to receive a healthy heart, liver, or kidney from a donor, taken violently from life. It could also refer to those who facilitate the complex conversations and interventions, those with empathy and sensitivity who broach the subject to parents not yet able to comprehend, let alone accept what is passing – to those with proficiency, who possess a singular ambition to attain perfection in their chosen field, harvesting and transplanting organs. Maylis de Kerangal writes snapshots of scenes that pass on this one day, entering briefly into the personal lives of those who have some kind of involvement in the event and everything that transpires connected to it, in the day that follows. It’s like the writer wields a camera, zooming in on the context of the life of each person; the parents, separated, who will be brought together, the girlfriend confused by a long silence, the nurse waiting for a text message from last nights tryst, the female intern following in the family tradition, the Doctor who she will shadow removing thoughts of the violent passion of the woman he abandoned when his pager went off, and the one who bookends the process who listens to the questions and requests, who respects the concerns of the living and the dead, the one who sings and is heard. Within the hospital, the I.C.U. is a separate space that takes in tangential lives, opaque comas, deaths foretold – it houses those bodies situated exactly at the point between life and death. A domain of hallways and rooms where suspense holds sway. The translator Jessica Moore refers to her task in translating the authors work, as ‘grappling with Maylis’s labyrinthe phrases’, which can feel like what it must be like to be an amateur surfer facing the wave, trying and trying again, to find the one that fits, the wave and the rider, the words and the translator. She gives up trying to turn what the author meant into suitable phrases and leaves interpretation to the future, potential reader, us. It is an extraordinary novel in its intricate penetration and portrayal of medical procedure, it’s obsession with language, with extending its own vocabulary, its length of phrase, as if we are riding a wave of words, of long sentences strung out across a shoreline, that end with a dumping in the shallows. This is one of those novels that unleashes the mind and sends it off in all kinds of directions, thinking about the impact events have on so many lives, the different callings people have, the incredible developments in medical science, how little we really know and yet how some do seem to know intuitively and can act in ways that restores our faith in humanity. A deserving winner of the Wellcome Book Prize in 2017, a prize that rewards books that illuminate the human experience through its interaction with health, medicine and illness, literature engaging with science and medical themes, the book has also been made into a successful film and two stage productions. An excellent Sunday afternoon read and pertinent to much that is being written and read in the media under the banner of the silencing of women today. This short, articulate novella is a conversation, in the form of a lengthy letter from a widow to her best friend, whom she hasn’t seen for some years, but who is arriving tomorrow. It is set in Senegal, was originally written and published in French in 1980 and in English in 1981, the year in which the author died tragically of a long illness. Our recent widow is reflecting on the emotional fallout of her husband’s death, how she is unable to detach from memories of better times in the past, during those 25 years where she was happily married and the only wife of her husband, thoughts interrupted by the more bitter, heart-breaking recent years where she was abandoned by him for the best friend of her daughter, a young woman, who traded the magic of youth for the allure of shiny things (with the exception of his silver-grey streaks, which he in turn trades in for the black dye of those in denial of the ageing process). With his death, she must sit beside this young wife, have her inside her home for the funeral, in accordance with tradition. She is irritated by this necessity. Was it madness, weakness, irresistible love? What inner confusion led Modou Fall to marry Binetou? To overcome my bitterness, I think of human destiny. Each life has its share of heroism, an obscure heroism, born of abdication, of renunciation and acceptance under the merciless whip of fate. By turn she expresses shock, outrage, anger, resentment, pity until her thoughts turn with compassion towards those she must continue to aid, her children; to those who have supported her, her friends; including this endearing one about to arrive; she thinks too of the burden of responsibility of all women. And to think that I loved this man passionately, to think that I gave him thirty years of my life, to think that twelve times over I carried his child. The addition of a rival to my life was not enough for him. In loving someone else, he burned his past, both morally and materially. He dared to commit such an act of disavowal. And yet, what didn’t he do to make me his wife! It is a lament, a paradox of feelings, a resentment of tradition, a wonder at those like her more liberated and courageous friend, who in protest at her own unfair treatment (a disapproving mother-in-law interferes – reminding me of Ayòbámi Adébáyò’s Stay with Me), took the road less travelled, taking her four sons, arming herself with renewed higher education and an enviable career abroad. It is a testament to the plight of women everywhere, who live in sufferance to the old ways of patriarchy, whose articulate social conscience has little outlet except through their children, whose ability to contribute so much more is worn down by the age-old roles they continue to play, which render other qualities less effective when under utilised. I am not indifferent to the irreversible currents of the women’s liberation that are lashing the world. This commotion that is shaking up every aspect of our lives reveals and illustrates our abilities. My heart rejoices every time a woman emerges from the shadows. I know that the field of our gains is unstable, the retention of conquests difficult: social constraints are ever-present, and male egoism resists. Instruments for some, baits for others, respected or despised, often muzzled, all women have almost the same fate, which religions or unjust legislation have sealed. Ultimately, she posits, it is only love that can heal, that can engender peace and harmony and the success of family is born of the couple’s harmony, as the nation depends inevitably on the family. I remain persuaded of the inevitable and necessary complementarity of man and woman. Love, imperfect as it may be in its content and expression, remains the natural link between these two beings. Mariama Bâ (April 17, 1929 – August 17, 1981) was a Senegalese author and feminist, who wrote in French. Born in Dakar to an educated and well-off family, her father was Minister of Health, her grandfather a translator in the occupying French regime. After the premature death of her mother, she was largely raised in the traditional manner by her maternal grandparents. She was a novelist, teacher and feminist, active from 1979 to 1981 in Senegal, West Africa. Bâ’s source of determination and commitment to the feminist cause stemmed from her background, her parents’ life, her schooling and subsequent experiences as a wife, mother and friend. Her contribution is considered important in modern African studies as she was among the first to illustrate the disadvantaged position of women in African society. She believed in her mission to expose and critique the rationalisations employed to justify established power structures. Bâ’s work focused on the grandmother, the mother, the sister, the daughter, the cousin and the friend, how they deserve the title “mother of Africa”, and how important they are for society. It’s an excellent short read and an excellent account from the inside of a polygamous society, highlighting the important role women already have and the greater one they could embrace if men and women were to give greater respect to the couple, the family, or at least to exit it with greater respect than this model implies. Once I got into the rhythm of this, which is to say, reading in French, and getting past the need to look up too many new words, I couldn’t put this down, by the time I found my reading rhythm, the lives of Gabriel (Gaby) and his sister Ana, his parents, his friends had their claws in me and I had to know what was going to happen next. I heard about this book initially via a French friend who retired here, but spent most of her married life living in a number of African countries. She introduced the book to me, as having been written by the son of friends. I was intrigued, it wasn’t too long – and then it began to win a lot of prizes! I suspected it might get translated, but decided not to wait. Gaël Faye, like the protagonist of the book, is the son of a French father and Rwandan mother and the historical facts which run alongside this narrative coincide with what he would have experienced, born in Bujumbura in Burundi and similarly fleeing the country to live in exile when civil war broke out in 1993 at the same time as the genocide in Rwanda against the Tutsi in 1994. The book starts with Gaby reflecting on a conversation with his father, a turning point in his understanding of the ethnic origin of his people, of the difference between the Hutu, and the Tutsi. He is trying to understand the motivation for the ethnic violence that caused his mother to flee her country of origin. His father is French, his mother Tutsi from Rwanda, they live in the small country bordering Rwanda, Tanzania and the Democratic Republic of Congo, called Burundi. It boasts the second deepest lake in the world, Lake Tanganyika, which occupies a large portion of the country’s border and is part of the African Great Lakes region. An italicised chapter depicts Gaby in France on his 33rd birthday, unable to reach his sister Ana, falling into what has become an annual day of melancholy, he remembers his exceptional 11th birthday, his parents and friends. And thus begins the novel, back to Burundi when he is 10 years old, remembering those last days of his parents marriage, replaying scenes that may have contributed to the demise of their relationship and many that contribute to his homesickness today. Conversations highlight the cultural differences between his parents, disputes provoke them to raise age-old issues, two people, neither of whom are really at home where they are, whose references come from elsewhere, who yearn for different things, Yvonne dreams of Paris, Michel is content with his piece of paradise in Burundi; his business, their beautiful home, domestic servants, the climate, the lake, the mountains, he refers to her dream of Paris and Europe as if it is a fantasy, far from the paradise she imagines. For Gaby and Ana, Bujumbura is home, it is where they belong. Each day unfolds according to the same routine, as the domestics arrive, the gate is opened, they prepare for school, are driven, there is a change as Gaby begins college and new friendships develop. His close friends live in the same alleyway, the twins, Gino, Armand. And Francis who they conflict with. They like to hang out in an abandoned Combi, talking, laughing, planning things. On connaissait tous les recoins de l’impasse et on voulait y rester pour la vie entière, tous les cinq, ensemble. J’ai beau chercher, je ne me souviens pas du moment ou l’on s’est mis à penser différemment. A considérer que, dorévenant il y aurait nous d’un côté et, de l’autre, des ennemis, comme Francis. Slowly unsettling news penetrates their utopia, Yvonne is worried for her Aunt and four children who never left Rwanda and for her nephew Pacifique who decides to return there to fight. They begin to listen more often to the radio for news, adults start making confidential telephone calls behind closed doors. Despite the unsettled times, they plan a visit to Rwanda for a family marriage, excitement and tension mount and while they make the event, the changing atmosphere forces them to return in haste. The book continues to follow the daily life revolving around Gaby, the highs of the adventures with his friends, despite the unease that pervades their township, the lows of news from Rwanda and a fear that the divisions that have become violent will trickle across to Burundi. The news of a coup d’etat arrives when the radio plays classic music nonstop, it is a sign, one that has happened before, in November 1966 it was a Schubert piano sonata, in 1987 Chopin. Now, it’s Wagner they hear. Ce jour-là, le 21 October 1993, nous avons eu droit au Crépsucule des dieux de Wagner. Attitudes change and begin to take effect in the playground and in the neighbourhood. Gaby befriends an elderly neighbour, a widow with large bookshelves, he seeks respite between the pages of a newfound love, literature. The story is told through scenes viewed from the perspective of Gaby, we slowly understand the beauty and stability of his life and how that is slowly dismantled and it is no wonder, miles away and many years in the future, something in him yearns for that lost youth. It is beautifully told, a simple story to follow, with many beautiful descriptive passages, even though we know that this time will be short-lived. It opens our eyes to the tensions that escalate into hatred and violence with little sense, the many victims and the many wounded by loss, destroyed by it. The ending is not really an ending, it could be said there is more than one ending and perhaps there may even be another book. I found it incredibly moving and was amazed to be so moved in a language that is not my own. An incredible feat of writing, a wonderful talent. Winner of five French literary prizes including the sought after Prix Goncourt des lycéens, it is due to be translated into English in June 2018 under the title Small Country by Hogarth Press. As you can see from the photo above Gaël Faye is also a singer, rapper, composer and poet. Unfortunately that concert above is already sold out. However, there is a beautiful song, also named Petit Pays, which gives you a glimpse of that small country he is nostalgic for and the wonderful musical talent he possesses. A top read, highly recommended. Nothing Holds Back the Night is the book Delphine de Vigan avoided writing until she could no longer resist its call. It is a book about her mother Lucile, who she introduces to us on the first page as she enters her apartment and discovers her sleeping, the long, cold, hard sleep of death. Her mother was 61-years-old. De Vigan collects old documents, stored boxes, talks to members of her family, the many Aunts and Uncles and creates a snapshot of Lucile’s childhood, a large family of nine children living in Paris and then Versailles, holidaying at a ramshackle country house Pierremont, where they would all come together for summers throughout childhood and for many years to come. Part One strings together the many anecdotes of memories of her mother’s past, and even in their telling, though the purpose is to reveal Lucile’s childhood, she is like a shadow, the one voice that is missing, whose presence is inferred but rarely at the forefront of the drama. She is a beautiful middle child, her beauty quickly capitalised on by her parents, who turn her into a pliable child model. Lucile greeted the news like the announcement of an imminent earthquake. A whole weekend! That seemed to her like an eternity, and the idea that a serious accident might happen when Liane and Georges were away made her breathless. For several minutes, Lucile stared into space, absorbed by the horrible visions she could not banish – shocks, falls, burns affecting each of her brothers and sisters in turn, and then she saw herself slip under a metro train. Suddenly she realised how vulnerable they were, how their lives ultimately might hang by a thread, turn on a careless step, one second more or one second less. Anything – especially something bad – could happen. The apartment, the street, the city contained an infinite number of dangers, of possible accidents, of irreparable dramas. Liane and Georges had no right to do this. She felt the tears run down her cheeks and took a step back to hide behind Lisbeth, who was listening attentively to her father. Though Lucile isn’t given a voice (unless the author imagines it) in the section about her family and upbringing, the events depicted show her reactions and create a vision of the fragile woman she would become; lost, finding it difficult to cope alone, struggling to raise two daughters when she could barely take care of her own needs. The fact is that they run all the way through families like pitiless curses, leaving imprints which resist time and denial. She asks what happened, what caused the turning point, the change in a family that appeared to be happy and thriving, that then was subject to trauma, cracks in its foundation, broken parts. And so I asked her brothers and sisters to talk to me about her, to tell their stories I recorded them, along with others, who had known Lucile and our joyful but ravaged family. She is particular about who she interviews, deciding early on not to speak to any of the men who temporarily came into her mother’s life, including her father. It’s as if she wishes to remove the possibility of judgement, by those who saw something of the effect on a life and not the life in its entirety. This is her mother’s story and the daughter is fiercely protective, while being very open and honest about what she and her sister experienced. She is also an experienced investigative journalist and is practised in presenting her findings to meet a preconceived aim. She doesn’t wish to harm the family and yet she wants to present a truth, exorcise certain demons that keep her awake at night. Thus the first part reads a little like a novel as she immerses herself into the characters and lives she wishes to portray bringing them alive by imagining their thoughts and dialogue. A daughter arrives part way through a mother’s life and so she goes back to fill in the gaps, to see her as a child, a sister, a daughter and for the rest, she narrates her story, as the daughter of this fragile woman, whose early life contributed to a deterioration in her mental health, who struggled to continue regardless, even though part of her yearned for an escape. Part Two therefore reads more like a memoir as she no longer has to step into the shoes of others and imagine a time when she wasn’t there, from now on she selectively recalls her own experience and that of her sister. De Vigan shows her mother’s perseverance alongside her inability to cope, her periods of stability alongside events that trigger her periods of instability, her creativity alongside the terrible hallucinations and paranoia, no one knowing how long either of those states will endure and whether either one will persist. I read this book in a day, it’s one of those narratives that once you start you want to continue reading, it’s described as autofiction, a kind of autobiography and fiction, though there is little doubt it is the story of the author’s mother, as she constructs thoughts and dialogue inspired by the information provided by family members, acknowledging that for many of the events, some often have a different memory which she even shares. Manon and I had become adults, stronger for Lucile’s love, but fragile as a result of having learned too young that life could collapse without warning and that nothing around us was completely stable. With the end of summer holidays approaching, I was in one of the local French bookshops buying a new French dictionary for my son, when I spotted this next book from Delphine de Vigan and in a moment of spontaneity, decided I would try reading it in French. Not straight away, but watch this space, for a review in English of a novel read in French. Have you read any of Delphine de Vigan’s works? Guardian Review – Ursula Le Guin is fascinated by a dark yet luminous memoir that straddles the line between fiction and non-fiction.